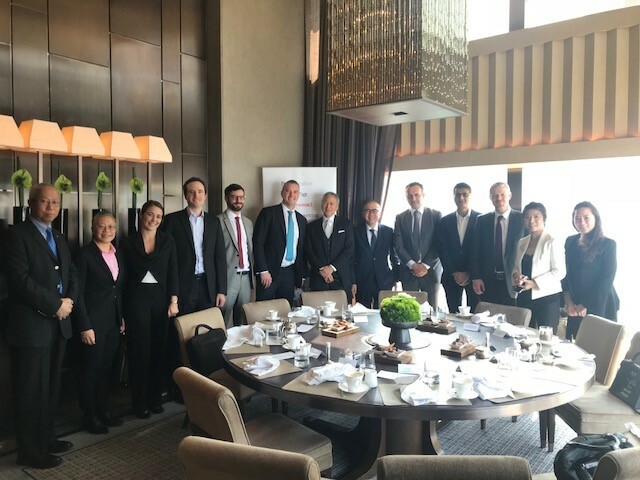 It was a genuine honour when we recently hosted Page Executive’s 2018 Hong Kong Aviation Leasing, Finance and Investments Roundtable lunch at Café Grey. The purpose of our roundtable was to gather a group of the most influential senior leaders across Hong Kong’s aviation sector to discuss to how we can work collaboratively to deliver effective talent solutions across the industry to combat the talent shortage. Our panel included senior representatives from the Hong Kong government, law firms, aircraft manufacturers, commercial airlines, commercial aviation lessors and financiers, market data information experts, and even a professor from a Hong Kong university! As a result, we had a true 360 degree perspective on the sector, and the common denominator across our senior leadership panel was that the biggest challenge facing the sector was a shortage of qualified experts in Hong Kong with the required skills in aviation leasing to meet to growing demand and transaction volume across Greater China. Whilst Hong Kong is unlikely to eclipse Dublin as the global commercial aviation leasing hub for the next few years, the new tax regime has already triggered some of the major global lessors to relocate to Hong Kong, given it’s a gateway to the ever growing China market. Because of this, it could soon surpass Singapore. Roundtable moderator Dewey Yee, Vice Chairman and Managing Director at Aergo Capital Asia Limited, pointed out that now that the new tax regime is established, the real work will come in constructing a solid foundation and creating a viable, well-thought-out platform to attract the various stakeholders in the aircraft financing, leasing and investment sector. He also stressed that skilled professionals to support the industry simply are not in Hong Kong at the moment – and that he sooner we address the issues, the sooner the solutions will materialise. How to market the commercial aviation sector effectively as a sector of choice for most talented new graduates, and raise the profile and awareness across key universities in Hong Kong? For senior level hires across all functional areas – legal, risk, credit, sales origination and general manager, how do we market Hong Kong as the Asia destination of choice? What can we do to help promote and encourage global mobility across the existing trained industry experts located in Dublin, Singapore and China to incentivise them to move to Hong Kong? With PageGroup’s unique model and three brand structure, we’re able to help tackle each of the challenges we discussed head on. Page Personnel will play a key role in recruitment at the graduate level, and can ensure we address talent shortages from a ‘grass roots’ level. Michael Page allows us to find middle to senior level professionals across key functional area, and Page Executive serves the senior leadership level, using our regional resources and global market. Find out more about Michael Page and PageGroup here.